Toby Edmonds will decide on a southern program for From Within after she runs at the Sunshine Coast. Race times show why trainer Toby Edmonds has chosen the Open Handicap at the Sunshine Coast for the return of classy mare From Within. The former Chris Waller-trained four-year-old has always shown ability and, although eventually unplaced, started equal favourite in the 2017 Magic Millions 2Y0 Classic won by the other favourite, the Edmonds-trained Houtzen. She has really bloomed since joining Edmonds on the Gold Coast winning four races including the Group Three Alinghi Stakes at Caulfield last spring. She has won her only two starts at the Sunshine Coast and both were at 1000m as is Saturday’s assignment. In both wins she broke 57 seconds (56.48, 56.78) for the overall time and got under 33 seconds for her final 600m sectional (32.79, 32.89). The times are rare on the Sunshine Coast track because of its long uphill straight. 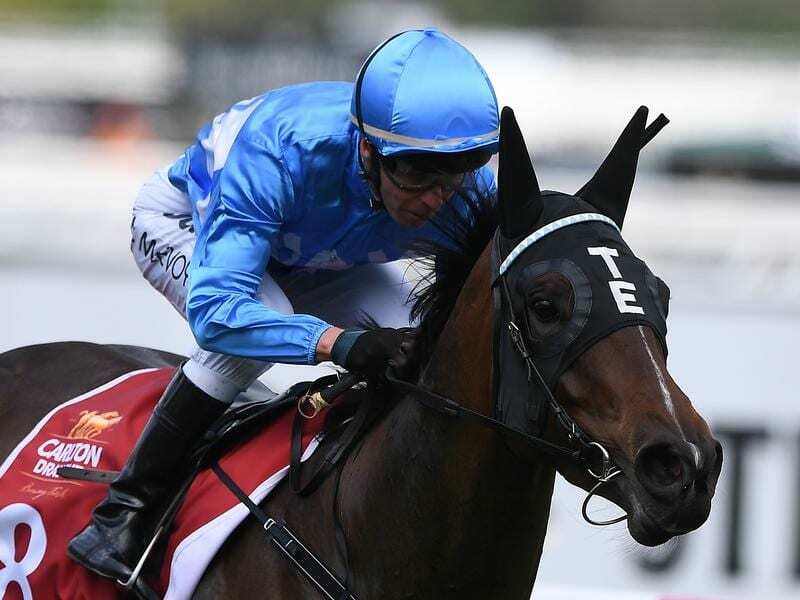 “She has had a nice break since her last start at Flemington and this looks the ideal race for her before we think about going south,” Edmonds said. From Within has not had an official trial but jumped out at the Gold Coast last week. Her clash with talented but unlucky mare Tumbler in the Open Handicap promises to be one of the highlights of Saturday’s meeting. Tumbler has had only 14 starts for seven wins and five seconds. Her career has been littered with injuries and bad luck which have even tested the patience of her usually easygoing trainer Barry Lockwood. She hasn’t started since since a second at Doomben in a race last July. Tumbler ran a nice second in a trial two weeks ago and Lockwood hopes she is ready to win. “But it is Tumbler so let’s wait and see,” Lockwood said.